Good things come in small packages, and the VoCore Mini Linux Computer is proof. Get yours for just $39 at Escapist Deals-and while you're at it, master Linux with the five-course Linux Power User Bundle, just $19, a savings of 97%. 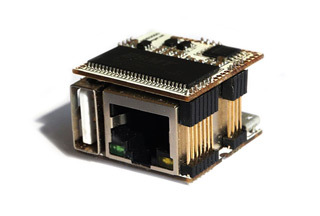 Get your mini Linux machine-complete with WiFi-and use it as a tiny, fully functional router, invent a new device, build a motherboard, or turn your old speakers into wireless ones. Along with the IndieGoGo favorite-VoCore raised 1,937% of its goal-get the $19 bundle of five Linux courses. You'll learn Linux in days, getting hands-on experience installing a Linux server, navigating your way around the Linux system, using essential commands, and more. You don't need any prior experience to get started with either the VoCore or the course bundle. Get the VoCore for just $39 and the Linux Power User Bundle for just $19 at Escapist Deals! Welcome to the future: We've made a computer that you can ACCIDENTALLY SWALLOW.